Being identified as the villains, even before the government makes public its much anticipated and discussed Eskom rescue plans, is some achievement. The National Union of Mineworkers (Num) and the National Union of Metalworkers of South Africa (Numsa) are already being fingered as obstructionists ready do their utmost to block the widely predicted breakup of Eskom that will be a central part of the government’s response to the crisis. 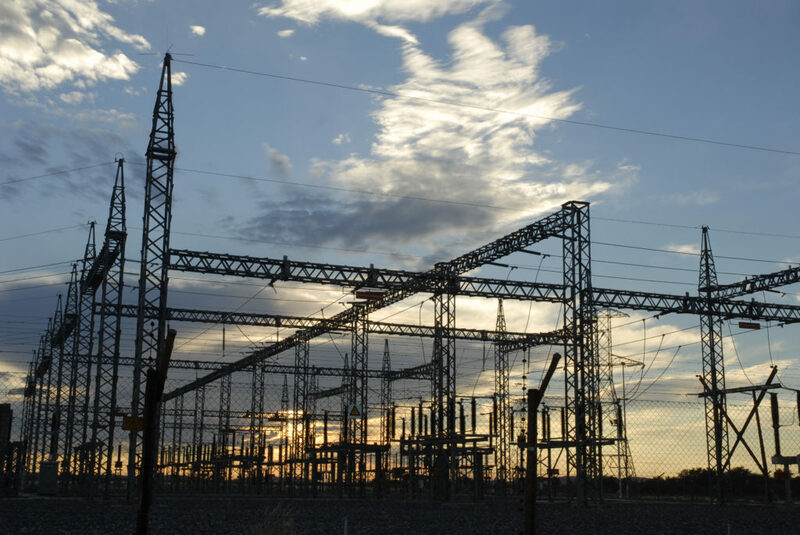 To take the sting out of opposition to the break up of Eskom, it is being speculated that the separate companies to be formed will remain state-owned. The government’s (anticipated) concession is a deception, however. Other than retention of a name – state-owned – little, if anything, is being conceded. 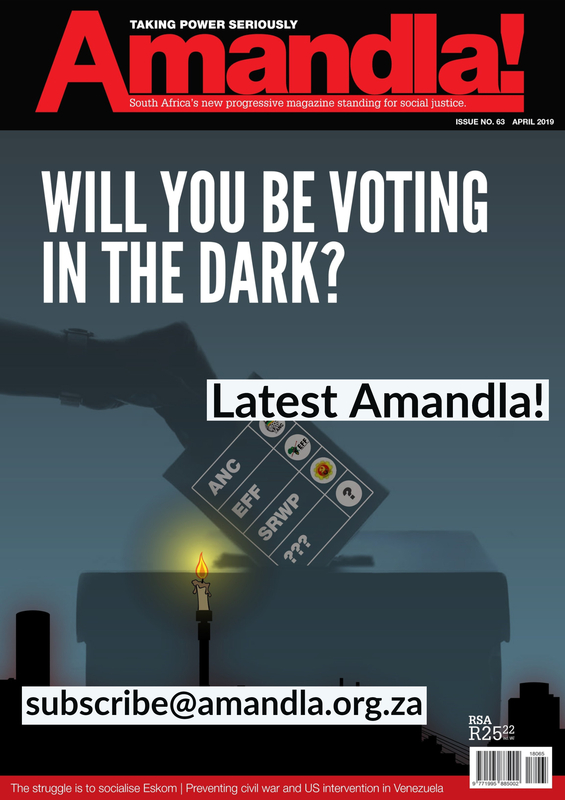 Move beyond the name to Eskom’s actual behaviour and it immediately becomes clear that the issue is not whether Eskom is state – or privately –owned but what it does and whose interests it serves both narrowly and in the broader political economy. It is in this alternate context that we, at the Alternative Information and Development Centre (AIDC), are confident of Num and Numsa being leading allies in the struggle to socialise Eskom as a vertically integrated public utility. Monopoly is a red herring, despite all the attention it attracts. There are two reasons why a monopoly is a diversion. The first of these, which is common to most critiques of Eskom, is that Eskom not only abuses its monopoly position but that it is precisely its monopoly that makes it immune to what would otherwise be the benefits of the multiple efficiencies enforced by free competition. The unrecognised contradiction in this critique of monopoly is that the narrow economic efficiencies of free competition are overtaken by the very profit maximisation dynamic of free competition. Bankruptcies, acquisitions and mergers are standard characteristics of competitive capitalism. Allow enough time for these everyday events to work themselves through the market and monopoly ends up being the natural state of capitalism. An ideologically self-serving definition restricts monopoly to being a single entity, thereby ensuring that only state-owned entities can be monopolies. This contrivance allows avoidance of having to come to terms with the paradox of monopolies being inherent in the dynamic of free competition. Monopoly also has a second meaning, which is the one I’m using because it describes markets dominated by a small number of very large corporations (even though economists use “oligopoly” to describe this situation). The point about monopoly capitalism is that the power exercised by a small number of giant corporations allows them to control the market. Having a competitor to Eskom (to one or more of its existing divisions) – which is a popular demand – will thus result in the eventual demise/takeover of either Eskom or the competitor or the survival of both in what would then be a market rigged to promote their shared interests in maximising their profits. Just consider South Africa’s banking sector. Four banks are dominant but the competition between them is on such rigged terms that South African banking is amongst the most expensive in the world (as is air-time and data, and for the same reason). The axiom that competition reduces price serves only as ideological mystification in monopoly dominated markets. And all capital-intensive markets in today’s economies are monopolised. The second reason why monopoly is a red herring is that a single, state-owned monopoly, even in a capitalist economy, is sometimes the most rational, cost-effective and least wasteful way of meeting society’s needs. A vertically integrated monopoly (according to research currently in the pipeline) might well be the most appropriate form of a resurrected Eskom, properly socialised and mandated to provide universal and cheap electricity, for both domestic and economic purposes, while also being friendly to the health of both people and the environment. When not periodically blackmailing the country with electricity blackouts, Eskom claims to be burdened by surplus electricity. Surplus, in this instance, is not a measure of need but of ability to pay. Millions of people are still without electricity. Millions more can’t afford the electricity that is available once the manifestly inadequate free supply has been used. Against this reality, only a company operating with the norms of capitalism (in Eskom’s case, freed from the not-for-profit principle to which it had been bound prior to 1987) would dare claim to have a “surplus” supply. Moreover, only a company accountable only to its own narrow concerns would simultaneously complain about having surplus electricity capacity and be indifferent to the deaths and destructions caused by fires in homes without electricity. Only a company burdened by too much electricity but with no social responsibility would similarly be indifferent to the health hazards – the deaths, illnesses and lost productivity – suffered by households compelled to use non-electric energy sources for heating, cooking and lighting. 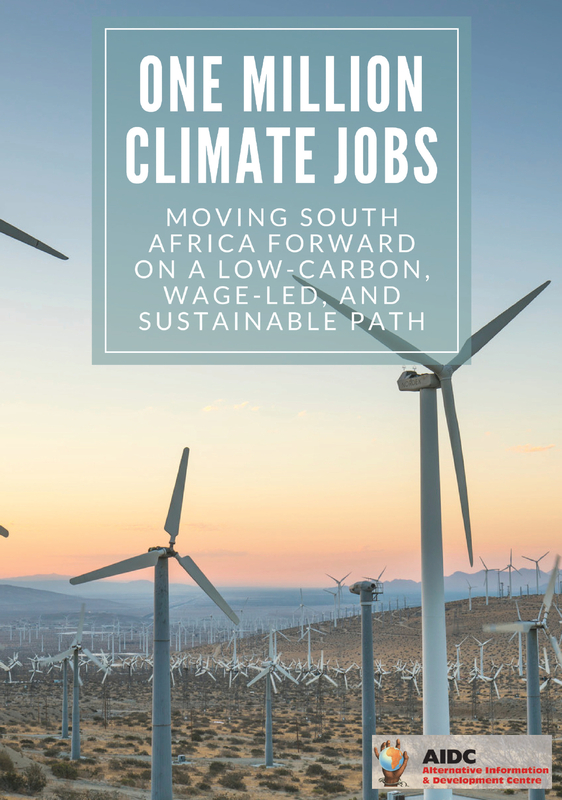 An alternative, socialised Eskom would not only use the bonus of surplus electricity to meet a desperate social need but would, in the process of doing so, create a large number of jobs in a country notorious for its normal level of mass unemployment. We celebrate when official unemployment is as low as 25%. This is the same level reached in the US during the worst period of the US-linked worldwide Great Depression (of the late 1920/early 30s). Being (or functioning) like a private company, with vested interests to protect, explains another Eskom anomaly: its hostility to renewable energy. The cheapest (new) electricity is now from renewable energy. Renewable energy is also the safest to produce and the easiest to supply to remote rural areas. Renewable energy, with a suitably protected local manufacturing base, has the added potential of being an additional source of job creation. Research by the One Million Climate Jobs Campaign shows that some 250,000 jobs are waiting to be created. Like other electricity utilities in the world, Eskom not only could but should have embraced renewable energy as its primary energy source. As a properly socialised monopoly supplier of electricity, it would also have taken the lead in giving meaning to what is still the hollow concept of a Just Transition with agreed alternatives for the workers who would unavoidably lose their jobs. Having built its coal-fired power stations, Eskom knows that all these stations will need to be de-commissioned as they come to the end of their planned lives. This would make planning a Just Transition a no-brainer for a socially responsible Eskom. Also a no brainer, if costs being incurred by a government so cash-strapped that it has had to increase VAT, is the frequently recommended cancelling of Units 5 and 6 at Kusile, along with the earlier than planned closure of three of the existing coal-fired power stations, that would result in the saving of between R15-R17 billion, without affecting security of supply. But these steps are predicated on the greatly enhanced use of renewable energy. This alone makes what would otherwise be such compelling arguments, a no-no for Eskom. And, so far absent from all these considerations, is climate change: recognised by (virtually) all the countries of the world as the single greatest threat to the survival of humankind. Coal is South Africa’s largest single contributor to climate change, by far. Eskom and coal are as singular as fish and chips, with BEE now part of that singularity. Like other shareholding companies fearful of stranded assets, coal remains king as far as Eskom is concerned. Like other (private) companies worldwide, Eskom sees its first duty as being to itself. That this contributes to humanity’s long climate change suicide is … unfortunate …. One of the reasons for Eskom’s hostility to renewable energy is BEE. Eskom’s support for BEE (apart from its corruption-tainted Gupta-links) is perhaps best illustrated by its unilateral imposition of a 51% minimum threshold of black ownership by any company wishing to be an Eskom supplier. The extra costs of BEE-business by an already heavily indebted company are not part of supply-chain calculations. Extra costs are just passed on to the public, thereby making electricity even less affordable to even more people. There’s another reason for mentioning BEE. Eskom’s support for BEE is an egregious reminder to people ready to dismiss as dreamers those who expect Eskom to ignore the market to the extent of using its surplus capacity to meet social need. Depending on the class interests involved, Eskom has shown its readiness to ignore the cardinal premise of least cost and to do so with the full support of the “shareholder”. A socialised Eskom would be ready to prioritise the interests of the working class (including the unemployed and the remaining poor) in the same way that Eskom continues to prioritise BEE, regardless of its dire financial straits. Mention Eskom to most people and the standard response, after the obligatory eye-roll, is the cry of corruption. A merited cry; but the events that gave rise to Eskom’s corruption and the specific forms that it has taken are due to the highly unusual coming together of several disparate circumstances that cannot be sustained and are most unlikely to re-occur. Foremost amongst these circumstances are: capitalists without capital (i.e., the aspirant black bourgeoisie with political power but without the expected commensurate economic wealth) who, as a result of transformation head State-Owned Enterprises and thereby have direct access to enormous amounts of money along with the power of awarding hugely desirable contracts amongst highly competitive suppliers all offering more or less the same products at more or less the same price. This complex of factors has been sustained for so long by the former president and, as we now learn, an ever-increasing number and diversity of ANC leaders in all three spheres of the State who kept Zuma in power for almost 10 years, along with the capture of the institutions of the criminal justice system (other than the courts and the Independent Police Investigative Directorate). Zuma is no longer president and the various commissions into state capture and corruption, together with the new National Director of Public Prosecutions (NDPP) that might result in the long-delayed prosecution of the army of crooks, all suggest this complex of corruption, in all its specificities, has run its course. But not corruption. Corruption remains integral to the political economy of capitalism (without saying anything about corporate profit shifting, much of which remains legal). Neoliberalism, capitalism’s current dominant form, energises the natural tendencies of capitalism into corruption on steroids. It does so by privatising everything that will attract profit-maximising business while leaving behind only the shell of what is (misleadingly) called the “public sector”, including the government itself. Being thus denuded of as much capacity – equipment, machinery, buildings, etc – as possible, the public sector has no alternative other than to outsource what it, by design, cannot do itself. This leaves a voracious private sector ready to be fed by the public purse. This is a global feature of neoliberalism – to which there is an added, still intact, specifically South African dimension. There is the BEE dimension to the R800 billion that was up for grabs last year helping to make “procurement arguably the single largest function of government departments” (Dirk De Vos). Public officials have a huge incentive to outsource whatever they can to qualifying BEE-service providers of their choice (to the extent that manipulation allows). The qualifying BEE-service providers, in turn, are, by law, given preferential access to outsourcing by all organs of state, including SOEs. Designed to promote black business, the Preferential Procurement Policy Framework Act of 2000 perversely adds to the incentives to award and/or win tenders by corrupt means. What all this means is that, regardless of whether Eskom is by law a public or private entity, it remains a prime target for corruption. If nothing else, this necessitates turning the paradigm of maximum outsourcing on its head. Anything less than urgent and comprehensive insourcing will guarantee the continuation of corruption, even though corruption’s golden age in South Africa is hopefully cemetery bound. A proper understanding of how to fix the Eskom disaster requires placing Eskom in a global context. South Africa is one of the world’s most unequal societies in a world more unequal today than any time in its history. Neoliberal capitalism is responsible for both distinctions. Business Day kindly reminded us the other day of what global inequality means. In 2018, the wealth of the 2,200 billionaires worldwide grew 12% or, $2.5-billion a day, while the poorest half of the planet’s population fell 11%. In the same year, the world’s richest 26 people had the same net worth as the poorest half, about 3.8 billion people. Let’s add the 36 million millionaires to the billionaires and, instead of the total 36,002,200 people, let’s increase the number to 700 million. Doing so means that something like 7 billion people – 91% of the world’s total population of 7.7 billion people – are experiencing one or other of the many forms of what is now called “austerity”. Anxiety, fear, uncertainty, depression, despondency are all emotional forms of austerity. In the middle of the First World War, the soon-to-be-assassinated German Marxist, Rosa Luxembourg, warned that the choice before the world was either socialism or barbarism. In 2019, barbarism – in the many forms of today’s fascism – is everywhere on the march. Global inequality and insecurity compounds South African inequality and insecurity. Which brings us directly back to Eskom. We don’t need to wait for the President’s imminent State of the Nation Address to know his picture of the new-look Eskom. We already know that his understanding of state-ownership will guarantee plans designed to placate the rating agencies – the battering rams of neoliberalism – and reassure (mainly foreign) investors that South Africa is safe for profitable business. The struggle against barbarism is a call for the mobilisation of the broad Left, including all the progressive trade unions and their different federations. The socialisation of Eskom is similarly a struggle that calls loudly and urgently. It is up to the same progressive trade unions, supported by the broad Left, to hear. The two struggles are not separate.